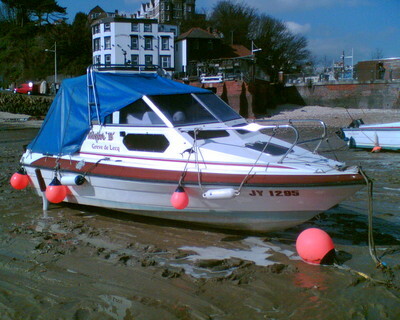 Up for sale is my Picton Royal 180 GTS with an inboard Mercruiser LX (140 HP) alpha engine and stern drive (1991). 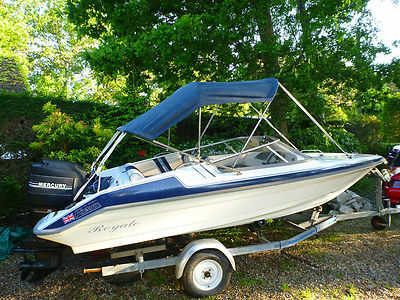 This is a great Ski/Wakeboard boat and has all the extras you will need for the water including: High Five propeller Wake Board Tower Fish / Depth finder Roller trailer Marine Engineers report (for insurance) I have owned this boat for 2 years but its time to give up the skiing and wakeboarding (it hurts too much now). Being a 19ft boat it’s pretty easy to tow it around and launch it but big enough to get a wake and powerful enough to mono ski behind it, basically a great all rounder. The hull, engine and stern drive are in great condition and haven’t caused us any problems. It was last serviced the end of last season and is ready to go. We have just had the hydraulic pump reconditioned and fitted a new starter motor as they were getting a bit hit and miss. The only thing I would say about it is it could do with a re-trim as the interior is very tired, everything is still useable but it’s looking dated and worn. The Hull is good with a few launch/retrieval marks on it and it’s only been used in fresh water by me. The previous owner used to use it in the lake district, so its had a lot of fresh water use. The trailer is in good roadworthy condition and you will have no problem towing the boat away (light board included). Any questions please email me through eBay. Please only bid if you intend to buy it, £500.00 deposit via paypal as the auction ends and the balance in cash as the boat is collected. Happy bidding and best of luck. Pictures of interior have been added..
For sale a fantastic red and white Picton Sunsport 15 speedboat, with an excellent, very reliable, newly professionally rebuilt mariner 60 engine with auto lube. Includes power tilt and a brand new unused prop. New steering wheel and cables etc. 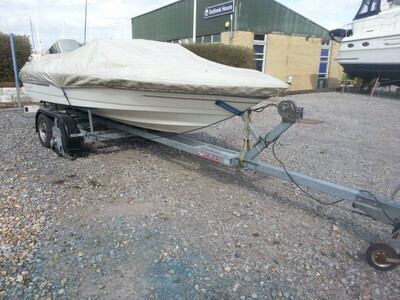 This boat is on a galvanised break-back trailer with spare wheel and has a brand new cover. Boat has good original gel coat and is ready to be used. Fitted with a Fish finder/depth gauge and a bilge pump. Viewing welcome and any questions please email. Cash on collection please. 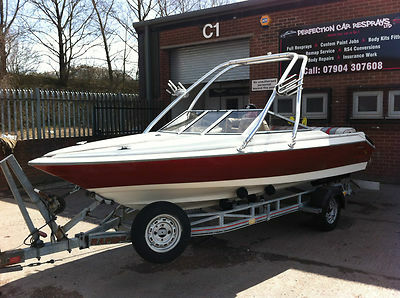 This very stylish Picton Royale 156 comes with 75HP Mercury Outboard with remote start and electric lift and trailer. The outboard pumps water very strongly. The speed boat is well fitted out and equipped and has a bimini top, Garmin Fishfinder / depth sounder, skiing tow pole and tow rope. The boat is in good condition with only a few age related marks but nothing serious.The overall length is about 16.5 feet since the 165 GTS Royale has the rear swim platform extensions of around 14″ that make the boat look so much more stylish. I bought it last Autumn for an elderly gentleman who had used it on the Norfolk Broads and it comes with some history but I have never had the chance to take it out on the water. I had intended to use it this year for the family but I got the offer of a bowrider from a friend (that was too good to refuse) so the Picton is for sale. It has no known faults. 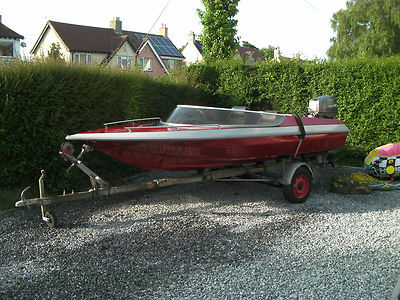 For sale is a Picton Speedboat with a 25hp suzuki outboard, engine model DT25. The engine hasnt been used in for a while but started a couple of days ago and ran fine in neutral with the prop in a tank of water.The boat has the rear frame to tow waterboards/rubber donuts. The sale includes the boat, trailor, tailor made boat cover for storage, and trailor board with lights. Any questions please don’t hesitate to message and ask for my contact number. Cash on collection only please due to the nature of the item. I will consider a part exchange deal with your item up or down obviously within ebay rules Ie Car/Van/Watch/Rolex/Breitling etc anything considered. IMPORTANT, PLEASE CONTACT ME BEFORE CLICKING BUY IT NOW. The perfect family RIB. The ample storage around the RIB means she is ideal for weekend trips away, with plenty of space to store beach gear and watersports toys. The seating arrangement comprises of a comfy three person bench seat at the rear, a padded sun deck area at the front (the removable cushions mean it can be turned into a seating area or storage), a seat in front of the console and a double seat for helming, plus another double seat.Fully kitted out with a GPS echo sounder, VHF Radio, and compass. Stored under cover all year round. Collection only Come and have a look! 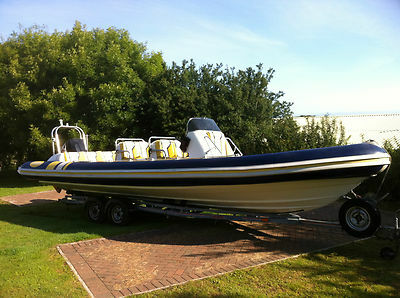 This is a fantastic speed boat which handles amazingly and is great fun for pulling a ring. I am selling due to recently buying a larger boat. It is in very good condition for its age which I believe to be late 80s. The engine has been well maintained, is reliable and starts easily on the key from a Quicksilver control unit. The bracket on the front of the engine is cracked but has been reinforced sometime in the past and is in working order, can be seen in photo. The Snipe trailer is in good working order and is structurally solid although surface rust is showing in a few areas. The bespoke cover, ring tow rope, engine cover, flush muffs, emergency paddle and an anchor is included although I am not including the inflatable ring unless agreed seperately (A ring can be purchased new from £40). The boat seats up to five and will happlily tow the ring at speed with 3 adults on board. 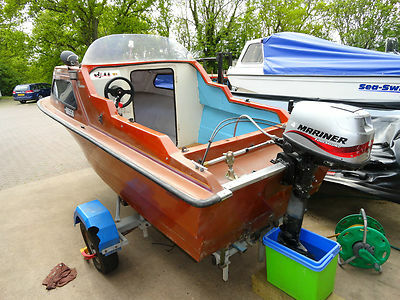 Picton royal 180 gts with Suzuki 200hp outboard and nearly new trailer. Relisted as I posted in the wrong category. The boat is in good condition and usable as is, the seats are good, only the carpet is starting to look tatty. She seats 5 comfortably and is nice and wide with room to walk between the 2 front seats, the windscreen can be opened yo gain access to the bow. There is a full cover included which is old but keeps the weather out. 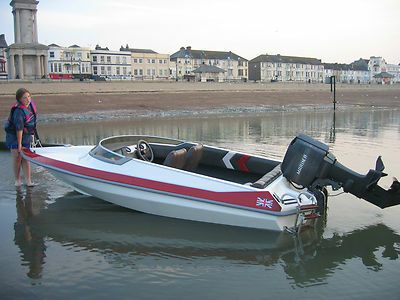 The outboard is a 200hp Suzuki, it is very powerful and gets the boat up to good speed. It is fitted with a stainless steel prop. The motor hasn’t been run since it was winterised last year and could do with servicing before the new season. 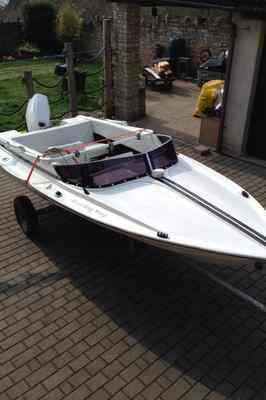 The trailer is made by Hayling trailers and would suit a boat upto 22′ . It has only been in the water once to load the boat at the end of the last season.